“We're devastated. We're angry. To say that Nikki was special is obvious to anybody who met her or read her,” said a Cleveland Scene editorial. 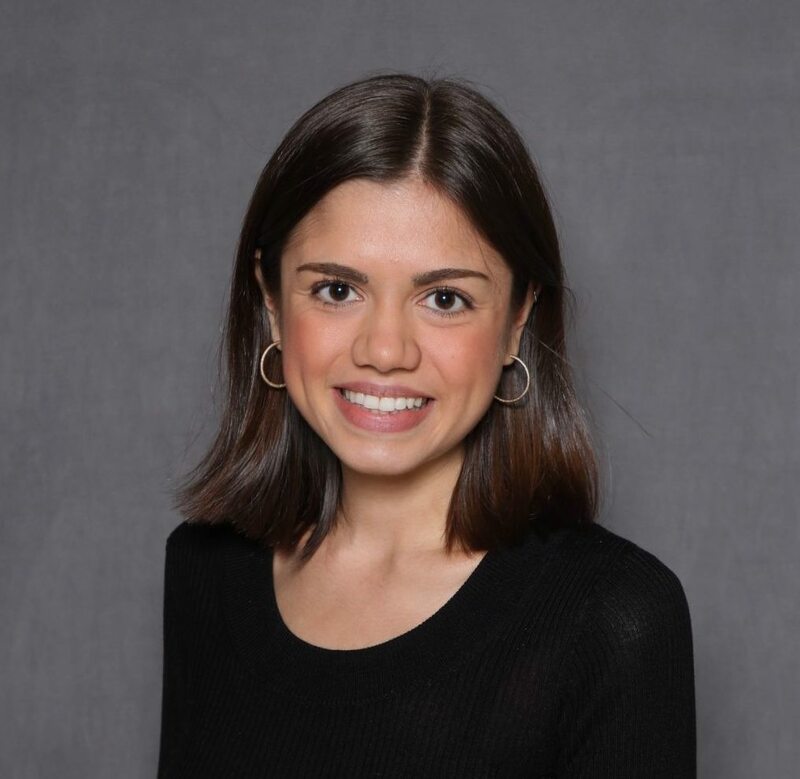 A culture reporter for cleveland.com was found dead with gunshot wounds Monday in her uncle’s trailer, according to police and her mother. Nikki Delamotte, 30, and Robert J. Delamotte, 67, were found dead in Perrysburg Township, about 10 miles southeast of Toledo, according to Perrysburg Police Department. "It does not appear at this time that her death has any connection to being a journalist," said a statement released by police Tuesday. The department refused to release any other information "due to the suspicious nature of the death." Delamotte’s mother, JoAnne Ullman, said she called police, hospitals, highway patrol and her daughter's uncle when she got a message from Delamotte's boyfriend that she hadn't made it home Sunday night. Then, after finding out her former brother-in-law's address, she drove to his trailer, about 100 miles from Cleveland. "When we pulled up, her car was there with her phone and wallet inside. I banged on the door and every window of the trailer with no response and then called the police again," Ullman told NBC News. When officers arrived and got into the trailer, they told Ullman that "they were both deceased and both had gunshot wounds." Ullman said Nikki had lost touch with her father's side of the family when her parents divorced but reconnected with Robert recently after the death of her maternal grandmother. They had been talking on the phone, and made the plans to meet up Sunday to catch up over a football game at a bar. "Nikki doesn't like football, but wanted to spend time with him," Ullman said. "That's the kind of person she is." "Nikki is love," Ullman added. 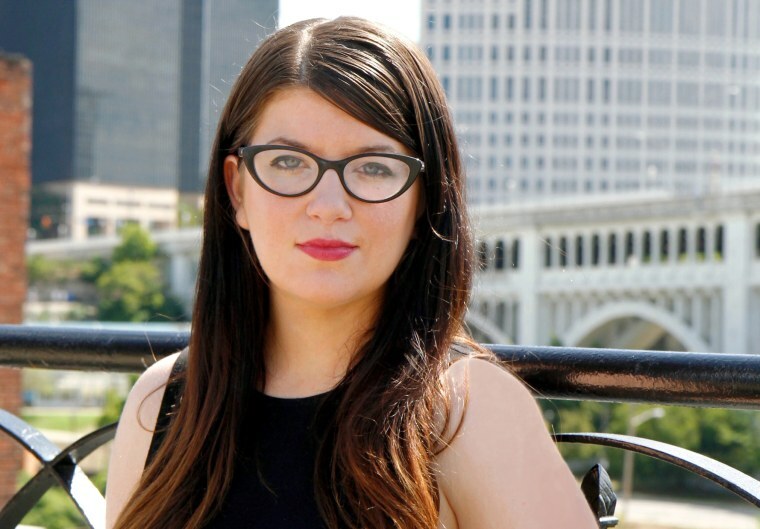 She penned the book “100 Things to Do in Cleveland Before You Die” and had worked for Freshwater Cleveland and Cleveland Scene before joining cleveland.com in 2016. All three publications highly praised her work ethic, writing and reporting skills, kind nature and humility after news of her death broke. A candlelight vigil in Cleveland for Delamotte was planned for Thursday night, and a fundraiser for her mother and boyfriend was planned for Friday. A GoFundMe set up to help Delamotte's family with her memorial had raised more than $10,000 by Tuesday afternoon. “Nikki was a rock star, only she didn't know. Or, maybe more accurate, she would never admit it,” said Troy Smith, an entertainment reporter for cleveland.com. "She’s irreplaceable. No reporter at our company touched more individuals in the community in a positive fashion than Nikki," Smith told NBC News. Delamotte covered art galleries, music venues, new restaurants, small businesses and much more that caught her curiosity in Cleveland. But her stories hyper-focused on the people behind those places. “Clevelanders that make me really proud to live here,” she wrote on Twitter. “Nikki, so humble about her personal gifts, specialized in uncovering hidden gems and those less-well-known people we found we all wanted to know,” said a cleveland.com editorial. The editorial added that Delamotte was always trying to widen her skills in order to better cover the city she so loved. A recent goal of hers was to improve her photography and videography abilities. In Delamotte’s latest cleveland.com feature about a Mexican grocery store expanding their in-store eatery, the nearly 20 accompanying photos are credited to her. “She built a well-deserved following as one of the bright spots on Cleveland’s media scene, shining a spotlight on our city’s most compelling people and places (often before they were widely known as such),” said Delmotte’s former FreshWater colleague Jen Jones Donatelli. And those people — spanning Cleveland’s social, food, music, and art scenes — whose stories Delmotte uncovered and told with such care also expressed the great loss they were feeling after the reporter’s death. "She was a Cleveland gem," said Caroline Dengel, owner of the mobile boutique The Wandering Wardrobe, which Delmotte covered when it opened in 2014. "She was just as creative as the people she was writing about and she was passionate about supporting businesses growth for Cleveland," Dengel said. "She knew that if we thrived, the whole city thrived." Brandi McElhatten, 41, who said she considered Delmotte family, was one of the first to find out about her untimely death and can't make sense of it. "None of us know what happened. We just want to know what happened to our friend," McElhatten told NBC News. "She was one of the kindest, sweetest humans I’ve ever known. And she didn’t deserve to die that way." We're learning the devastating news that @nikkidelamotte has passed... The entire Beachland family is in mourning of one of Northeast Ohio's brightest shining stars. Nikki was a tremendous asset to the NEO community & a valued friend. Spread ️to all you know today. RIP Nikki. Nikki Delamotte epitomized smart, community-focused, fair journalism. She had her finger on the pulse and reported widely and enthusiastically on our area’s arts and culture.She uncovered so many hidden gems and highlighted countless unsung heros.A profound and devastating loss. Our loving thoughts are with the family and friends of @nikkidelamotte. She was a talent who brought light, wit, and enthusiasm to the Cleveland community. Her writing and her character will not be forgotten. cleveland lost an extremely important voice last night in a tragic act of gun violence. rest in peace nikki delamotte. really not sure what to say. she was a huge supporter of all arts and culture in cleveland and it's hard to believe that she is no longer with us.